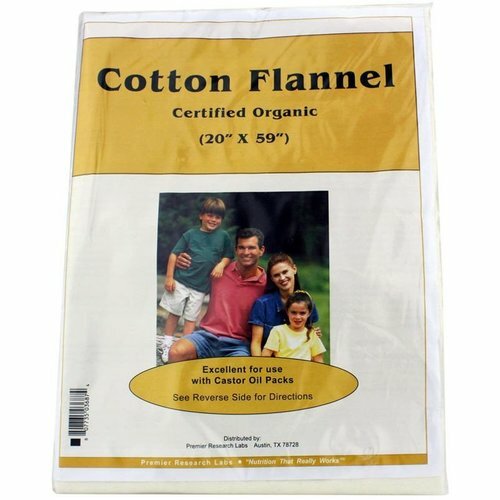 Premier Research Labs 20 in x 59 in Cotton Flannel is made of certified organic cotton. Advertências: Keep out of reach of children. This product is not a toy. Do not ingest. For external use only. Recomendações de uso: Place the flannel pack on a target body area; apply gentle heat for 20 minutes. Discard pack after each use. Recommended for use several times per week.